This is a fast-growing and ever popular topic. 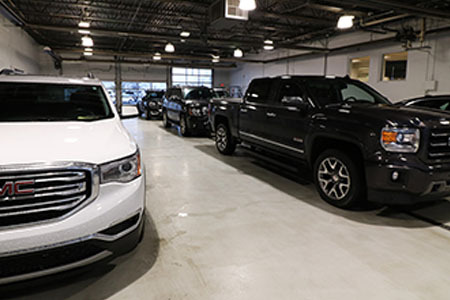 We are proud to have Multiple Automotive Service Excellence and Factory trained Diesel Technicians, from normal maintenance to any mechanical issues, we are able to perform all the repairs here at Perrysburg Auto Mall Service Center. Built with durability, reliability, and optimization in mind, diesel engine systems are designed to use their own compression to ignite fuel. Your diesel engine plays a major role in your vehicle, so it is especially important that you be aware of problems and seek repairs immediately. Because diesel engines make a considerable amount of noise during normal, everyday operation, diagnosing diesel engine problems can be hard to do if you are listening in on the engine. There are numerous symptoms to indicate your diesel engine needs maintenance. A diesel engine running at lower RPMs or a hard-to-start engine are signs of low fuel pressure, but these signs may also be symptoms of an insufficient fuel supply or poor fuel quality. Allowing our staff to troubleshoot your diesel engine can help ensure that the proper repair procedures are followed to repair the engine. Every diesel engine manufacturer requires different preventive maintenance procedures, so referring to your owner’s manual will help in planning and scheduling routine maintenance services. Keeping all diesel engine components—glow plugs, fuel injectors, and turbochargers—in proper working order will increase the life of your diesel engine system while promoting overall vehicle maintenance.